Here are some more phone case reviews coming your way. This time, we’re reviewing a couple of LifeProof cases for some phones. We’ve reviewed the LifeProof Slam in the past for the Samsung Galaxy S9. This time we have the Slam case for the iPhone 7 and 8 to review. We’ll also review the LifeProof NËXT for iPhone X and above and Samsung Note 9. 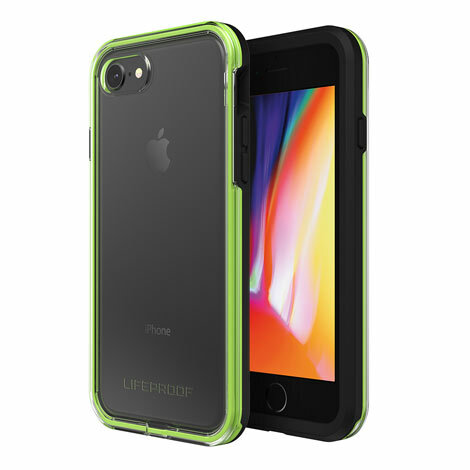 This case that LifeProof sent us for the iPhone 7/8 is one of LifeProof’s slim cases. The back is clear, and the bumper comes in different colors such as Night Flash (green/black), Aloha Sunset (pink/teal), Lava Chaser (red/gray), and Free Flow (purple/pink). This case is built to withstand drops from 2 meters. The buttons on the side of the case may be a bit difficult to manipulate at first, but with some time it gets better. The front of the phone is open is not encased in this particular product, but you can get the Alpha Glass if you want the additional protection. This case costs $49.99. The NËXT is a case in between the SLAM and the FRE. It is drop-proof, dirt-proof and snow-proof. This case is also built to withstand drops from up to 2 meters, but it has port covers to keep out dirt and such. There are raised edges to protect the front of your phone, should you put it face down, but the screen is also open as with the SLAM. The Alpha Glass is also compatible if you want extra protection. The back is also clear- allowing you to showcase your phone. The edges give it a nice pop of color, though. 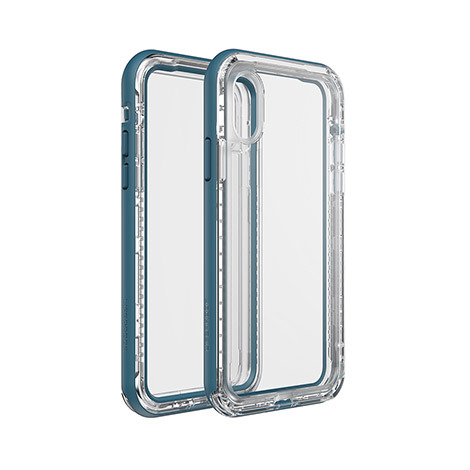 You can find these cases in colors like Black Crystal, Ultra (light purple), Zipline (green), Cactus Rose (pink), and Clear Lake (the blue, as shown above). We were sent this case to review for the iPhones X, Xs, Xs Max, and Samsung Galaxy Note 9, but they are available for other devices as well. The price of these cases is $79.99. So, if you want to protect those new devices you get for Christmas, we can recommend LifeProof. This is my unbiased review, but thanks to LifeProof for sending us these free cases.